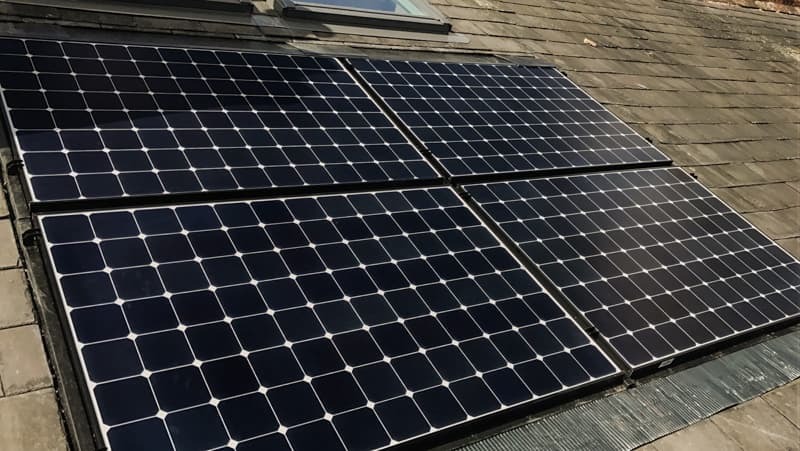 NPS solar have been in business since 2005 and have a wealth of experience in a multitude of different Solar PV installations. One of the areas that we specialise in is the design and supply of bespoke In-Roof solar installations. For our In-Roof systems we remove the existing roof covering be it tiles or slates and then install the solar panels directly to the roof structure. The new panels sit flush with the existing roof surface giving a very clean low profile finish. Our customer here chose the In-Roof system for aesthetic reasons. 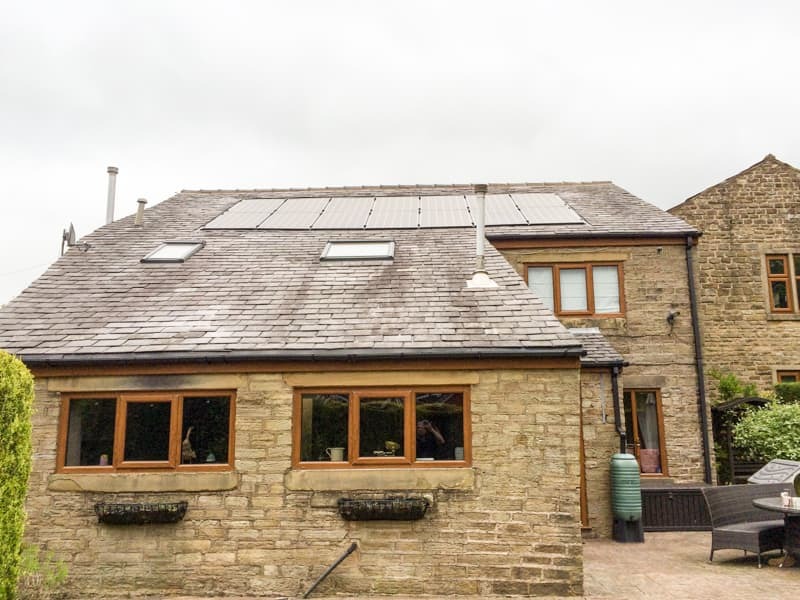 The style of the house is traditional with natural materials of stone and slate and they wanted the PV system to become part of the roof, rather than being mounted on top. 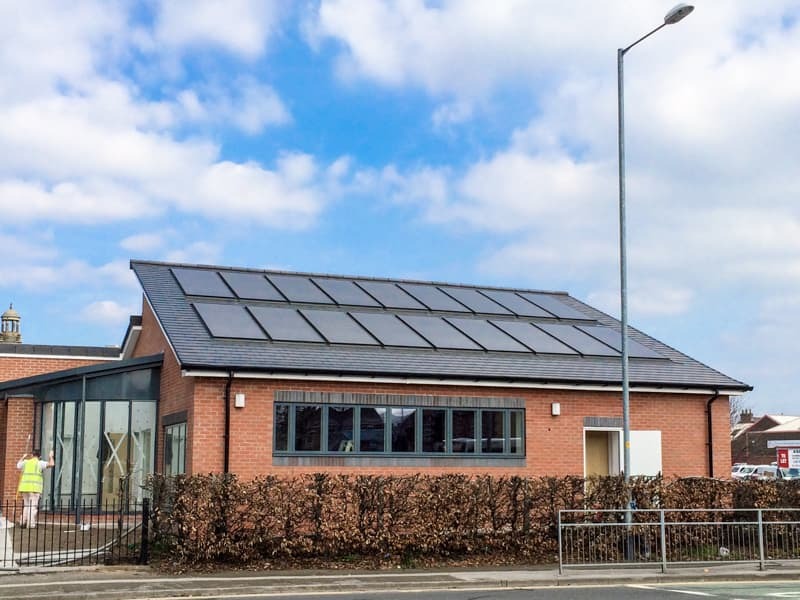 The finished appearance of the system is enhanced by a clean low profile installation and the addition of black framed Solar PV panels blends nicely with the surrounding slate roof. Our in-Roof systems are also popular with new build customers and developers with the installation being carried out as part of the construction works. Significant cost savings on the build roofing costs can be made as less roof materials and installation are required when the PV panels account for a proportion of the roof.